Promoting an event online is really not as difficult and complex as some might think. Jumia Travel shares 4 best ways to promote an event online. This is where content marketing comes in. Your content marketing efforts should align with the event you are promoting. As much as possible, plug in details of the event in all your content marketing efforts so the repetition will help keep your event in the mind of your readers or audience. Additionally, you can go a step further by creating unique videos for the event and posting them alongside the promotional content for the event. 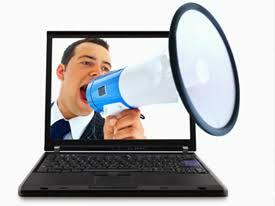 Many might already know about this tool for online event promotion but the key is to be tasteful about it. Don’t use your email signature for event promotion in a way that puts those who receive your emails off, be creative about it and do it in a way that can pique their interest and compel them to find out more about the event. The main thing to keep in mind to achieve this, is to avoid a very long and tedious email signature; keep it brief, simple and yet professional. You can also make use of GIFs that get the point across in an animated and interesting way. This should be the hub for information about your event and it doesn’t even have to be overly fancy, just decent and presentable. What really matters is that all relevant information about your event can be sourced from the site and any issues that your potential guests might be worrying about is addressed. The best part about creating an event page is that you can also create trackable URLs for your website and landing pages to help collect data on which methods of promotion are working best. You will thus be able to determine which method has the highest ROI. Social media is important for online promotion and Facebook is one social media giant (over 2 billion monthly active users) you should not neglect in your online marketing or promotional efforts. The best way to promote an event with Facebook is to create an event page on Facebook and the best part about the Facebook event page feature is that it offers plenty of useful tools to use to help promote your event. It also helps you build a unique space for your community to stay updated on your event by enabling you add images and videos related to your event, update event details, keep a list of who’s attending and remind users about the event as it gets closer.